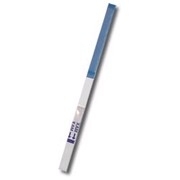 The Amphetamine Panel Drug Test Card is a one-step solution for on-site urine drug testing. With 99% accurate results, our single panel drug test is one of the best alternatives to laboratory testing and one of the most accurate drug tests on the market today. Detection – Methamphetamine is a water soluble molecule, detectable up to 2 days and in some special cases 72 hours.